Reptiles often represent ancient branches of animal life with some species like modern crocodilians largely unchanged over the past several million years. 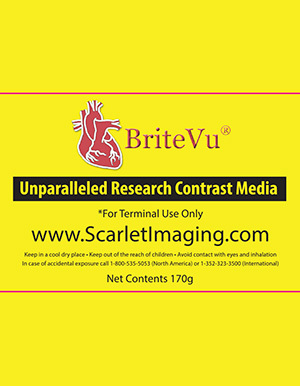 BriteVu helps researchers understand reptilian vascular anatomy in ways never seen before. The information is currently being used to reconstruct ancient and extinct animal life and understand primitive, and in some cases advanced, cardiovascular, respiratory and other organ systems not found in other modern animals. 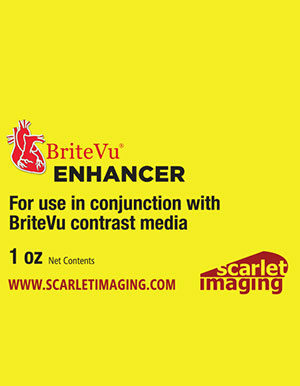 BriteVu helps make this possible. 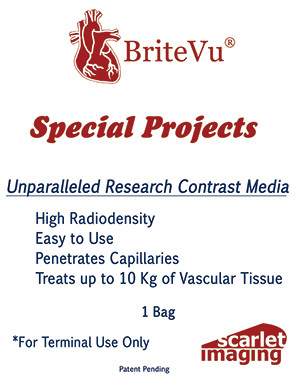 An alligator was perfused via the ventral coelomic (abdominal) vein with BriteVu. 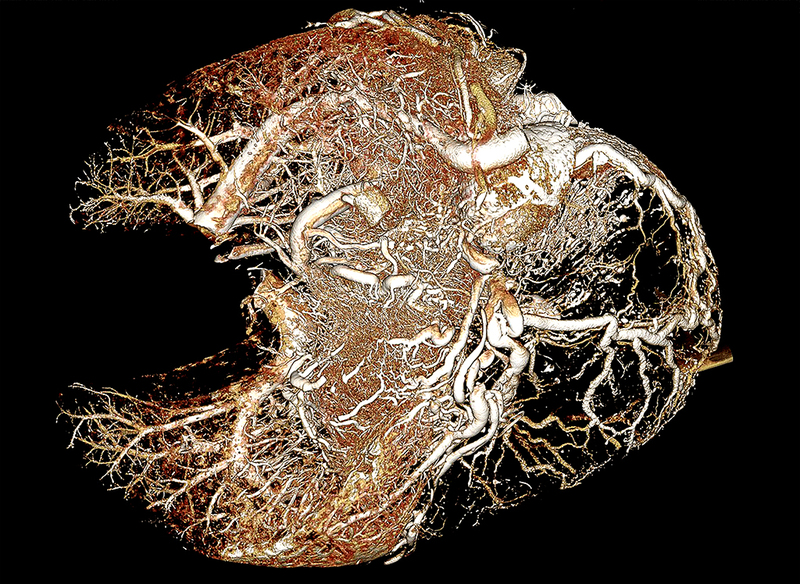 Internal organs were removed and CT scanned at 35µm for better visualization. The distal colon and kidney are scanned as one unit. The colon is on the top and terminates to the left and seemingly joins the kidney on the bottom left. Courtesy of Dr Colleen Farmer, Farmer Lab, University of Utah. 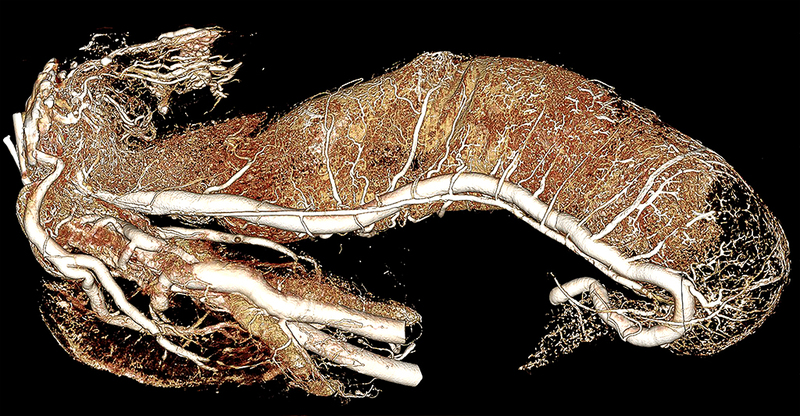 An alligator was perfused via the ventral coelomic (abdominal) vein with BriteVu. 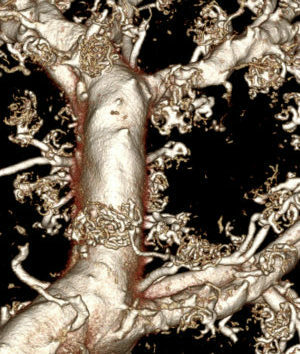 Internal organs were removed and CT scanned at 35µm for better visualization. The stomach and liver are scanned as one unit. The stomach is to the right and liver to the left. Courtesy of Dr Colleen Farmer, Farmer Lab, University of Utah. Alligator heart and neck (whole body) BriteVu contrast arteriovenogram. 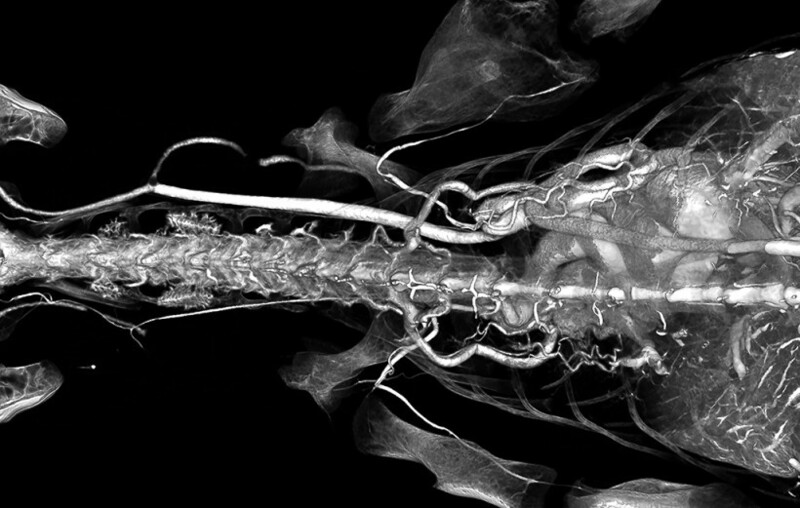 The alligator was scanned at 100 µm. This is a ventral-dorsal (bottom up) view. Courtesy of Dr Colleen Farmer, Farmer Lab, University of Utah. Alligator heart and neck (whole body) BriteVu contrast arteriovenogram. 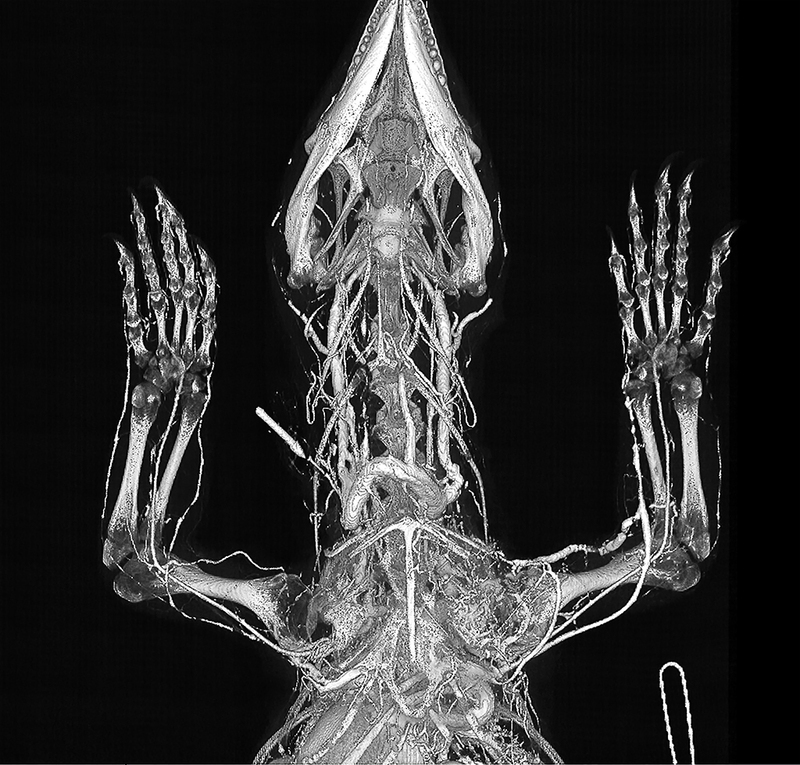 The alligator was scanned at 100 µm. This is a dorsal-ventral (top down) view. Courtesy of Dr Colleen Farmer, Farmer Lab, University of Utah. 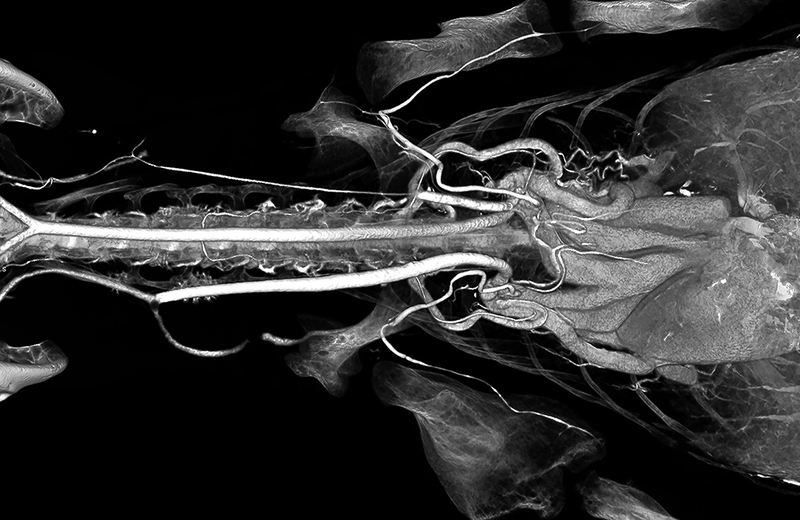 Alligator head using (whole body) BriteVu contrast arteriovenogram. 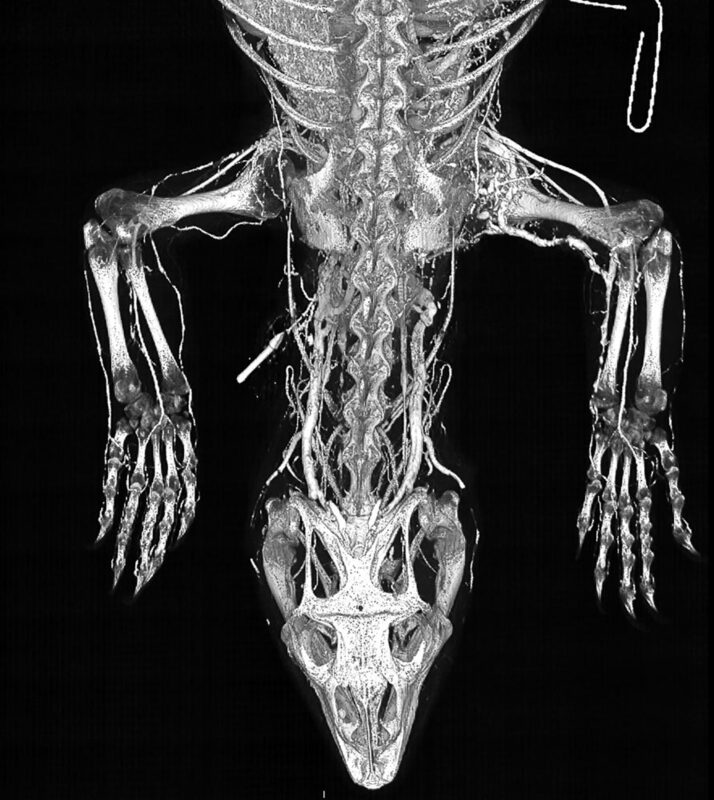 The alligator was CT scanned at 100 µm. This is a ventral-dorsal (bottom up) view. Courtesy of Dr Colleen Farmer, Farmer Lab, University of Utah. 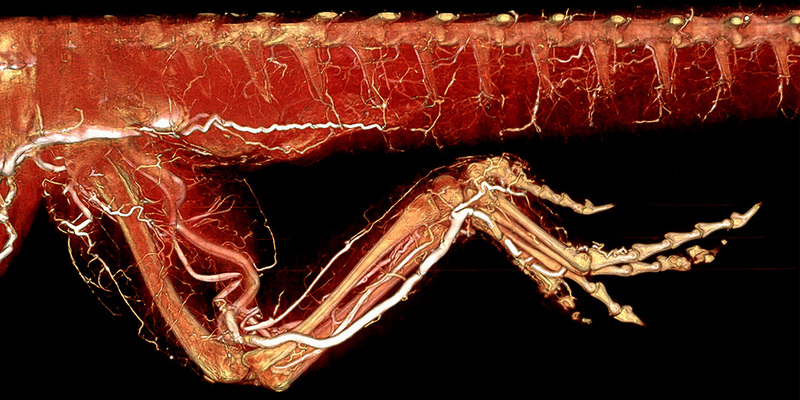 White throated monitor whole body arteriovenogram using BriteVu contrast media. The lizard was CT scanned at 300 µm. This is a ventral-dorsal (or bottom up) view. 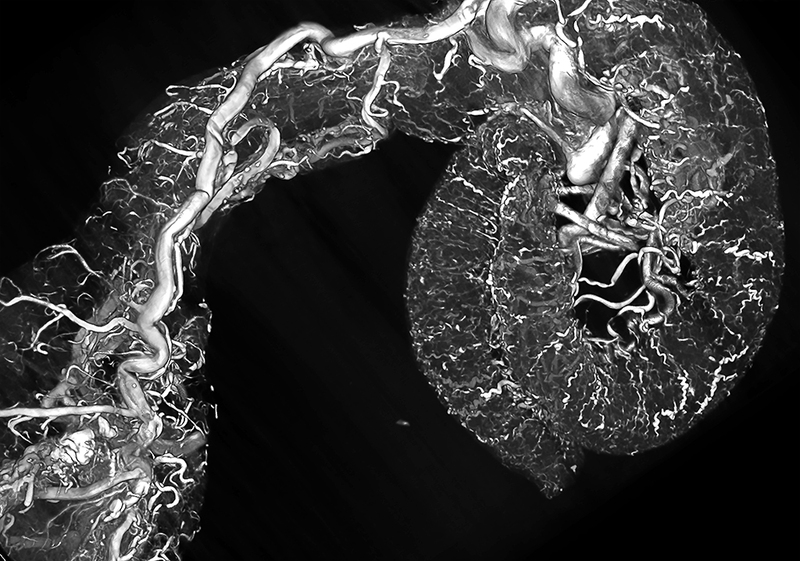 White throated monitor whole body arteriovenogram using BriteVu contrast media. The lizard was CT scanned at 300 µm. This is a dorsal-ventral (or top down) view. Bearded dragon whole body BriteVu arteriovenogram. 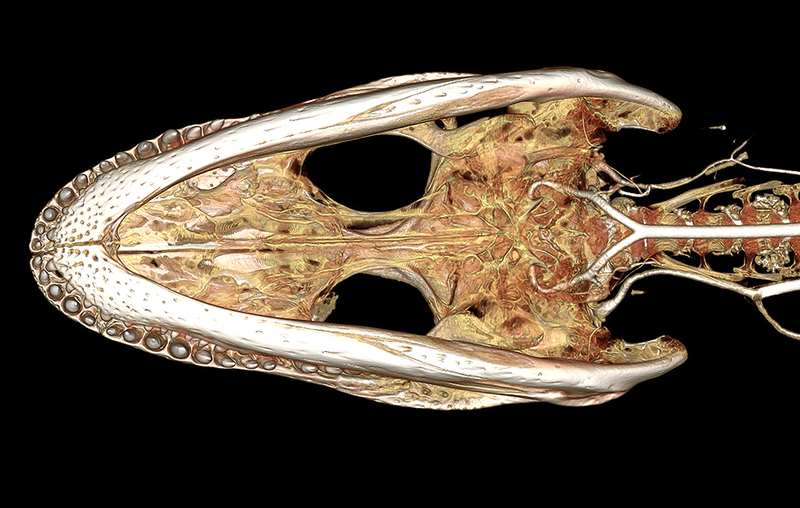 The lizard was CT scanned at 100 µm. Bearded dragon intestines (whole body) perfused with BriteVu contrast. The intestines were individually scanned at 35 µm.